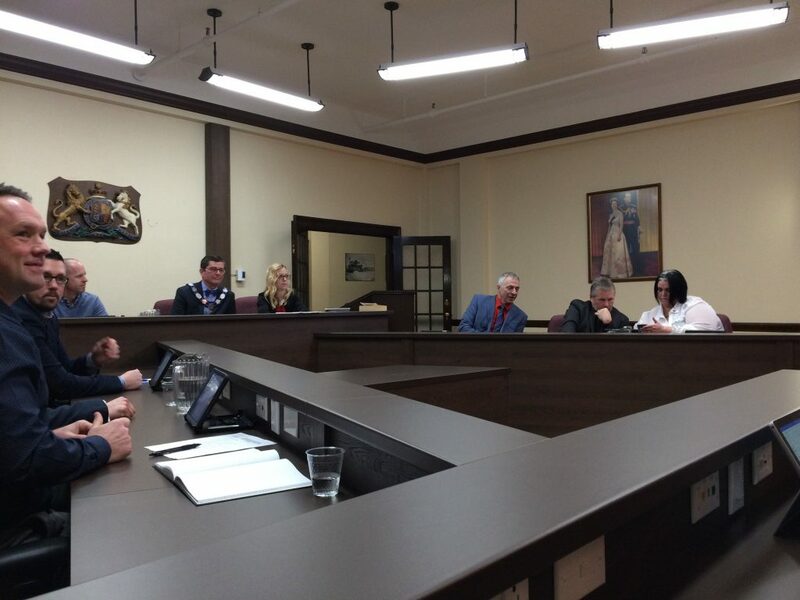 Alan Spacek placed the Chain of Office around Dave Plourde’s neck, and just like that it was done. 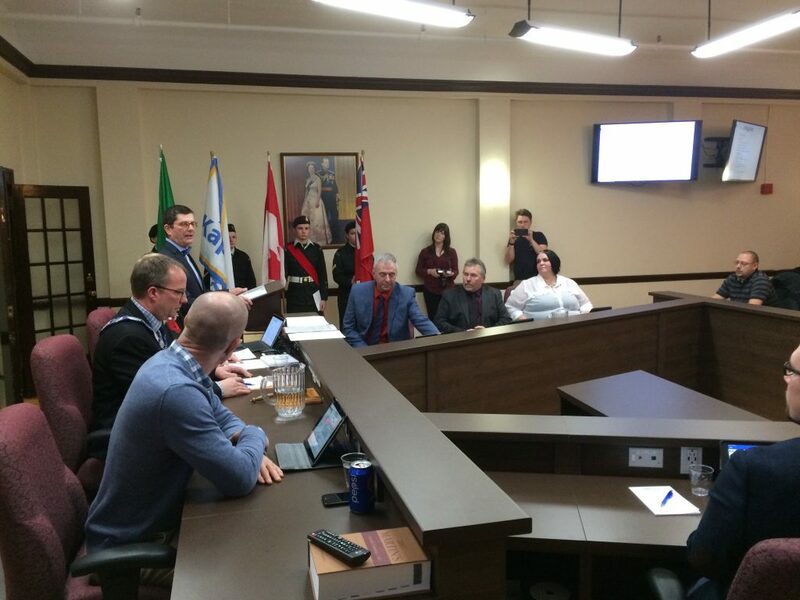 Tonight Dave Plourde became the newest Official Mayor of Kapuskasing, taking over for Alan Spacek who held the role for 12 years. 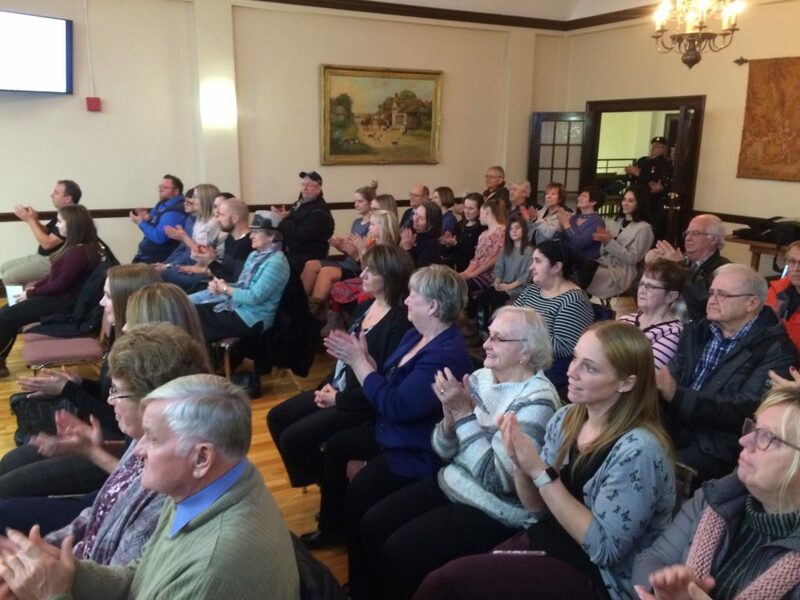 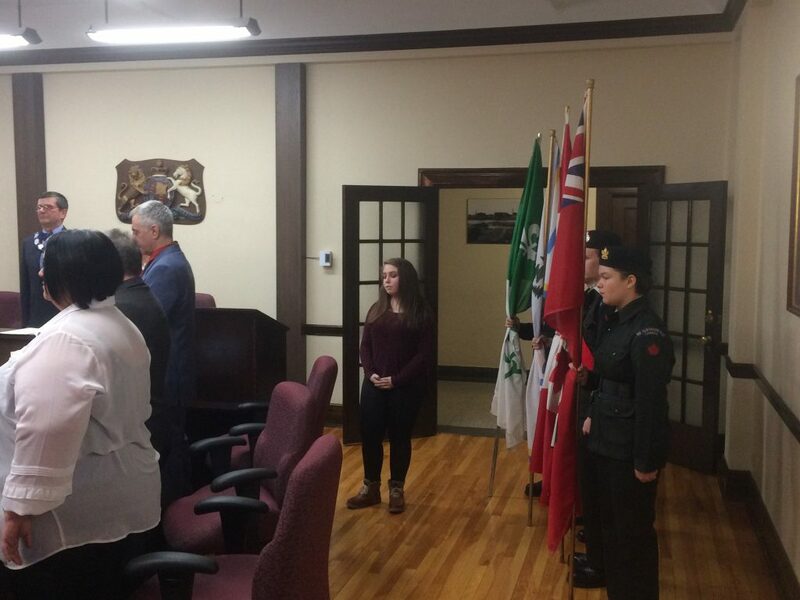 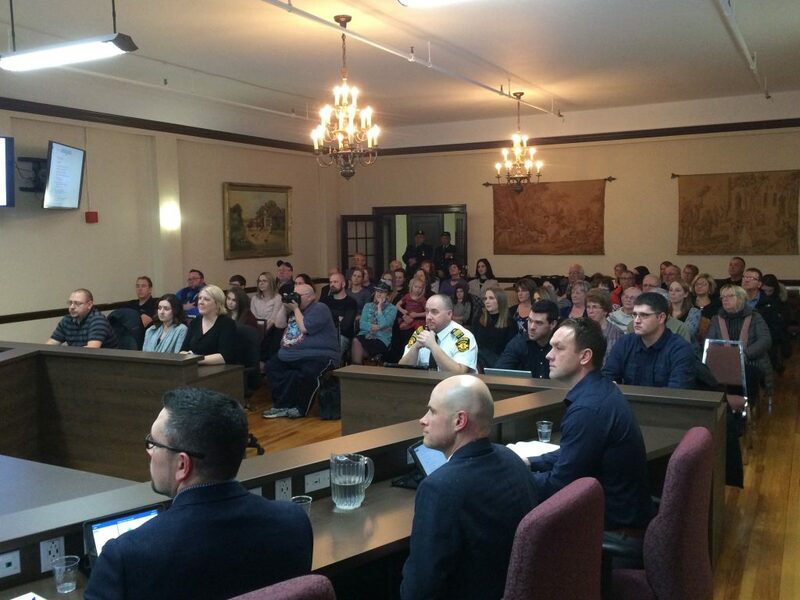 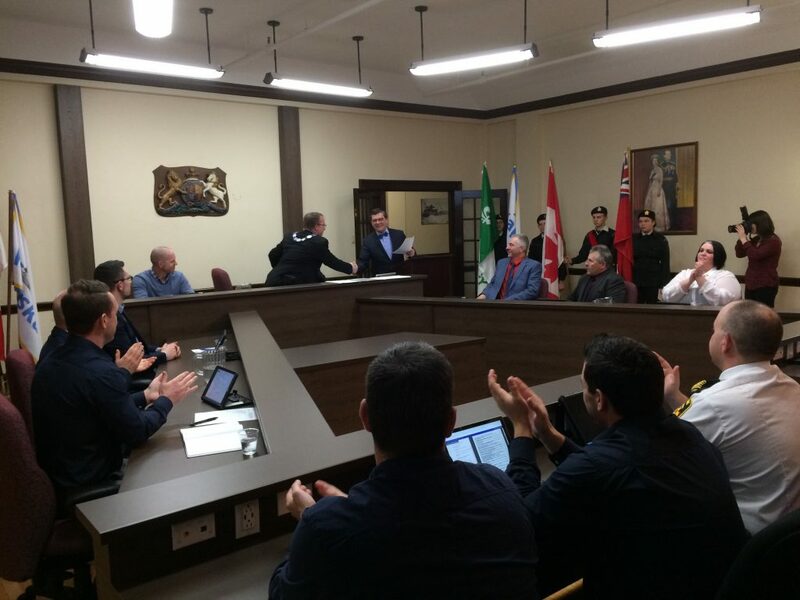 Plourde’s first evening was a quiet and mainly ceremonial council which saw five new councillors introduced; Julien Boucher, Sebastien Lessard, Ken Munnoch, Bruce Newton and Guylaine Scherer. 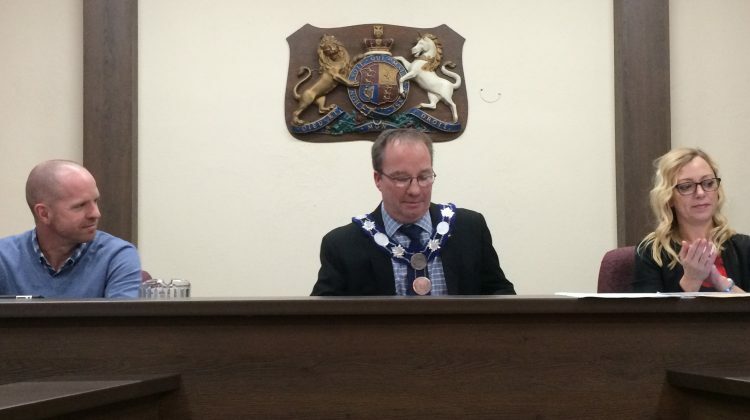 Alongside one returning council man in Martin Credger. 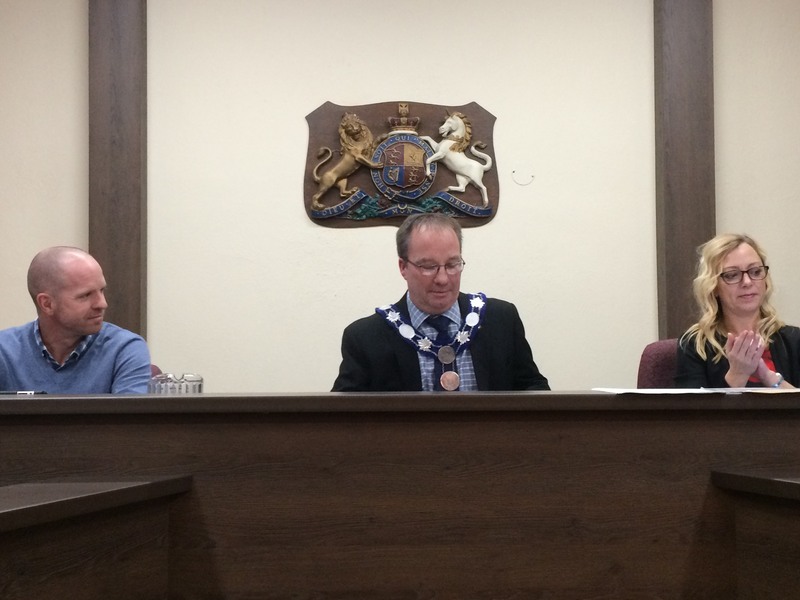 Plourde says he has been waiting to finally get going in his new role. 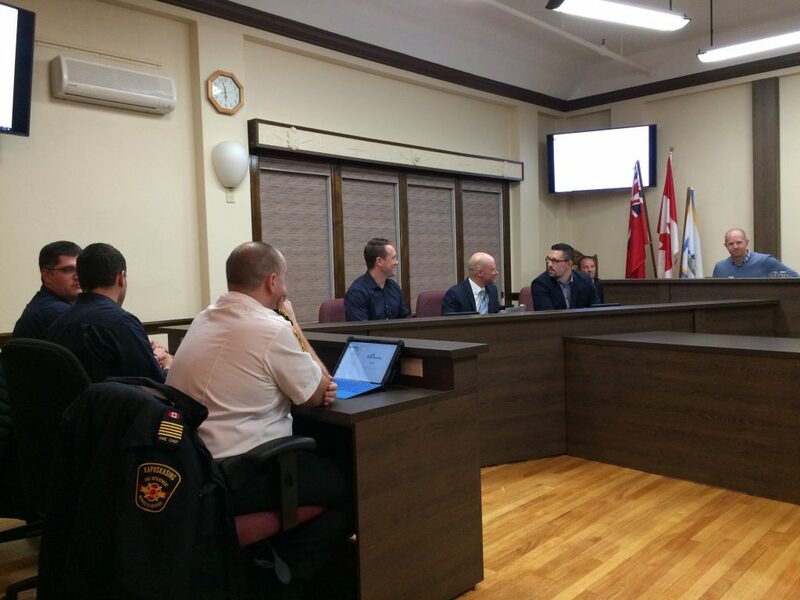 Plourde says the public wants transparency so that’s what they want to give them. 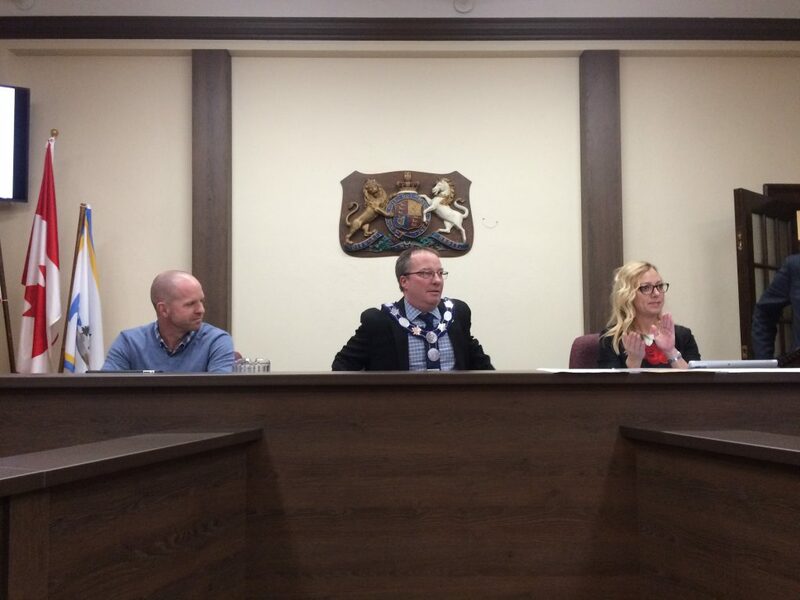 The new Mayor finished his evening by inviting all residents to further council meetings to voice any and all issues.